Are you remain confused between Tartan Kilts and Utility Kilts and ever wanted to know the answer of this? If you are then this article is for you. Since today I am sharing that what are the actual differences between Tartan Kilt and Utility Kilt. So let me address the differences one by one. Get to the list of Kilts Sale here which we have compiled for you. Tartan Kilts has its history as its belong to Scotland, Ireland, and Celtic. Actually, it belong to the tribes and each tribe has its own Fabric which was called Tartan that is the reason that there are 100+ designs of Tartan Kilts as it represents different tribes from those areas. Whereas an Utility Kilt is an advanced form of that traditional Kilt which is made up of different styles and materials. You can get to see Utility Kilts in Cotton, Leather, Denim and many other fabrics. These are just modern day fabrics and does not carry any history with them. Get Best Sporrans here for you. Tartan Kilts aka Traditional kilts has its own historical design which is being used since years. The Tartan Kilt has a front apron and back pleats. The apron is 4-16” wide and covers front area of legs and the one side of the apron has fringe ending which makes the back pleat stand out. The reason for using Back pleat was using more fabric to keep the body warm in cold weathers. Utility Kilts aka Working Kilts are made according to the modern need and also keeping the tradition alive along with meeting the needs of people. The front apron is 10” wide and ends in middle of both of leg and some of the Utility Kilts also comes up with Cargo Pockets to carry your stuffs while working. Moreover, there are different kinds of hooks, buckles and buttons attached with many modern kilts to beautify your traditional wear. You can checkout the Cargo Utility Kilt which is the best example of modern day kilts. The Tartan Kilt or Traditional Kilt has its history so does the process of manufacturing. The Traditional Kilts are handmade by using a needle and without involving any machine in the process. Whereas Utility Kilts are made with the help of machines; however, still some of the process of manufacturing Utility kilt is done by hand. 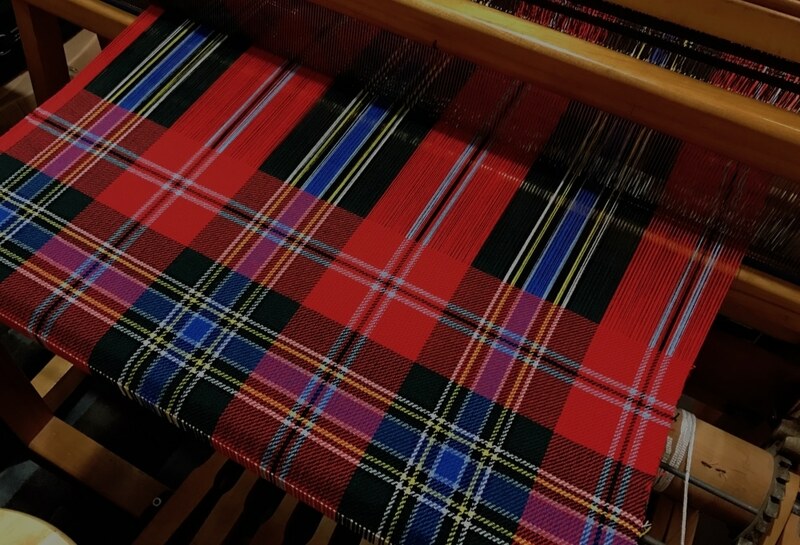 If you want to know about the history of Blackwatch Tartan then get the details here. In ancient times, Kilts used to fasten with the help of same color fabric, but now the Kilt even the traditional kilts comes up with adjustable leather straps to fasten their Kilts. Tartan kilt comes up with two leather straps; one at right and other at left side which can be fastened with each other. The same strap thing is used with Utility Kilts which also comes up with two leather straps on both sides which are used for fastening your kilt. However, there are some designer Kilts available out there which uses Buckles, Hooks, Buttons, chains and other stuffs for fastening. Scottish and Irish people use to have Sporran, a purse, along with their belt to carry their stuffs. The reason for doing that was a traditional kilt does not have any pocket. An Utility Kilts or Modern kilt comes in many designs and there are many kilts out there which are available with Cargo or hidden pockets to carry your stuffs. These are few differences between Tartan Kilts and Utility Kilts and I am sure that these facts must have cleared your all doubts about these both kilts. If you have queries to ask then feel free to lend them in comment’s box. Any of our team members will get back to you address your queries. If you have found this helpful, then don’t forget to share this article with others. if you want to Shop Kilts get here. This entry was posted in Kilts and tagged kilts, Kilts Blog, Tartan Kilts, Utility Kilts.